How does one cope with today’s endless stream of poisonous news? People have wide-ranging methods, none of which completely suffice. They console or goad one another on Facebook. They distract themselves with a binge-worthy streaming series or a good book. They (quite reasonably) decide to get drunk or high on occasion. Harvard psychologist Steven Pinker tells himself, and us, that life is actually getting better in his new book, Enlightenment Now. I decided to post this love poem, a bit belatedly after Valentine’s Day. 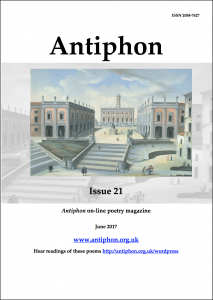 The poem originally appeared in Antiphon’s Issue 21 last year. 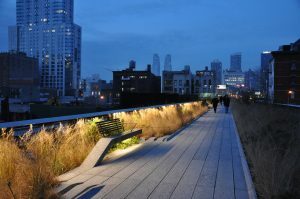 New York’s High Line. Photo: jharchitecture. comprehension sweeps my wits away. down the narrow stairwell to the streets below. We are amazed how time has flown. We would do anything to fly again.